With ELADA, no expense has been spared in the pursuit of a technologically-advanced, stylishly rugged, exceedingly comfortable, semi-displacement tri-deck motor yacht. 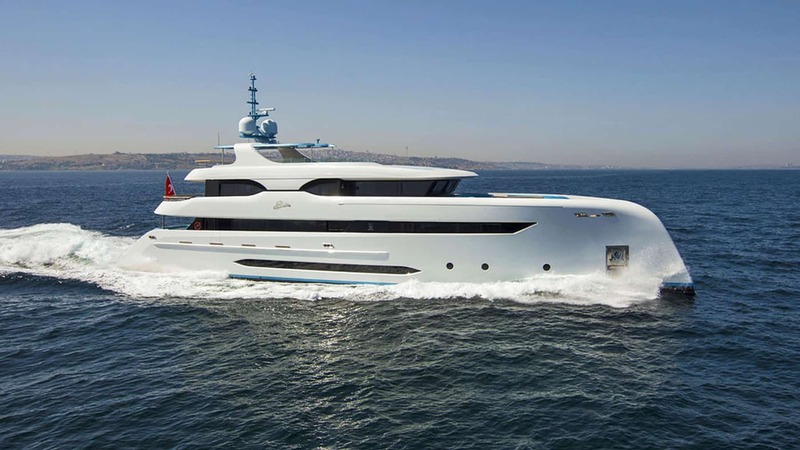 With her six luxurious guest staterooms, including a jaw-dropping full-beam master, she was built with all of the amenities expected in a motor yacht of this class. Amongst other features, ELADA boasts a Beach Club, two Jacuzzis and a Flybridge that practically demands a party. Her high freeboard and plumb bow, which can only be described as “striking”, is instantly recognizable and a true testament to the design and engineering resources that were poured into building this vessel. Yet ELADA is not simply an amenity-laden, gorgeous tri-deck motor yacht – she is RINA-compliant with an expertly cold-molded hull & superstructure that has been designed and built to optimize stability, safety and comfort. For these reasons, and many more, ELADA would make the ideal yacht for coastal and offshore cruising – in the Mediterranean, around Europe, and far beyond.